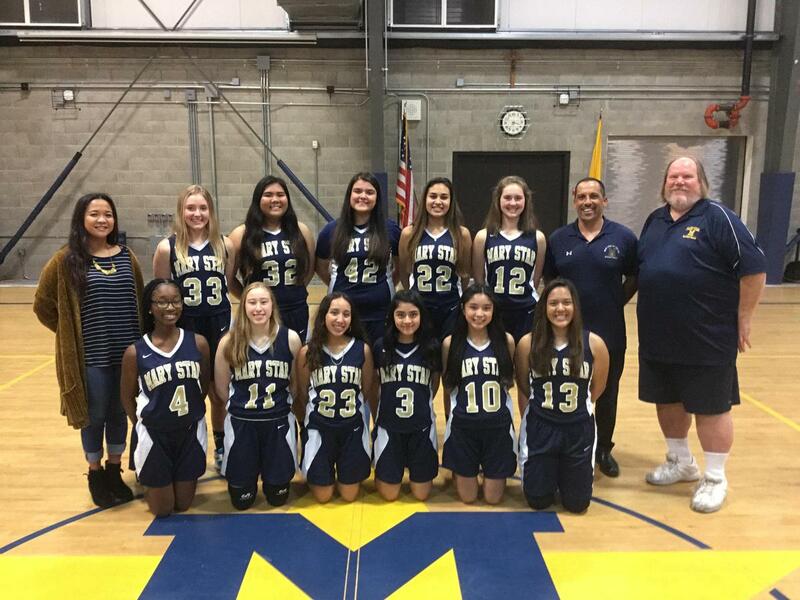 Congratulations to Girls' Basketball Coach Victor Tuberosi (MSHS '88) who was selected as the CIF-SS Division VAA Coach of the Year. He has led the team to two consecutive CIF-SS Division V Semi-final appearances and this year advanced to the 2nd round of the SoCal Regionals State Playoffs. Vic has guided his alma mater's Girls' Basketball team since 2014 compiling an 81-55 record (.596) and his teams are an impressive 9-4 in playoffs. Vic has also coached JV Boys' Basketball and JV Football at MSHS in addition to having a highly successful CYO career coaching Boys' Basketball and Flag Football at Mary Star of the Sea Elementary School. Vic is a lifetime resident of San Pedro, and is part of a local institution, Joseph's Bakery, which his mother and father have owned and operated for over 50 years. Vic is happily married to his wife Livia, and has 2 sons, Joseph (MSHS '15) and Vincent who will graduate this May. Mary Star is proud to have Coach Vic leading the Girls' Basketball program. Congratulations Coach Vic, and thank you for your leadership!